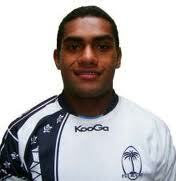 The Fiji U20 rugby team is keen to improve on its performance at the Junior World Cup in France. The last top performance produced by a Fiji U20 team was in 2011 when they were placed sixth overall. The team produced a shocker in 2008 when they finished 14th out of 16. The team understands that they will face stiff competition in their first match against New Zealand as the team features players who play in top tier competition. The current side has retained 5 players from last year’s squad including Sunia Tamani, Isikia Macu, Jimilai Rokoduru, Elia Ratucove and based Sevanaia Galala. The most capped JWC players for Fiji are Nikola Matawalu and Waisea Daveta who have played 9 times for the Flying Fijians. The Fiji U20 team will face New Zealand at 7.45am Thursday. Fiji will then play Ireland at 4.45am next Monday before facing Australia at 7.45am next Friday.